As Medium Madame Flora (or Baba as she is called by her daughter) Ashley West-Davis displays a booming resonance with her vocal instrument that commands attention the moment she opens her mouth. As her daughter Monica, Hannah Fox boasts a bright and piercing voice that floats effortlessly through the cavernous Allen Theater. 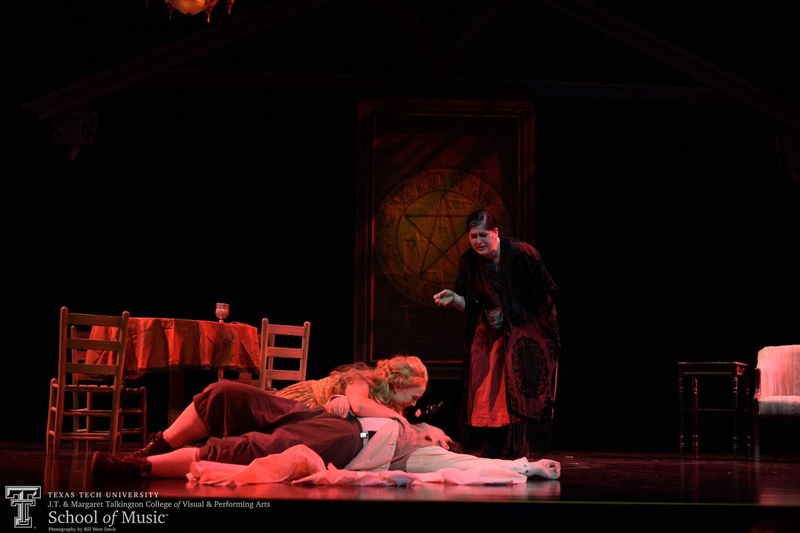 The scenic design by Timothy Walsh is a technical highlight of the production, with a few magic tricks up its sleeve. 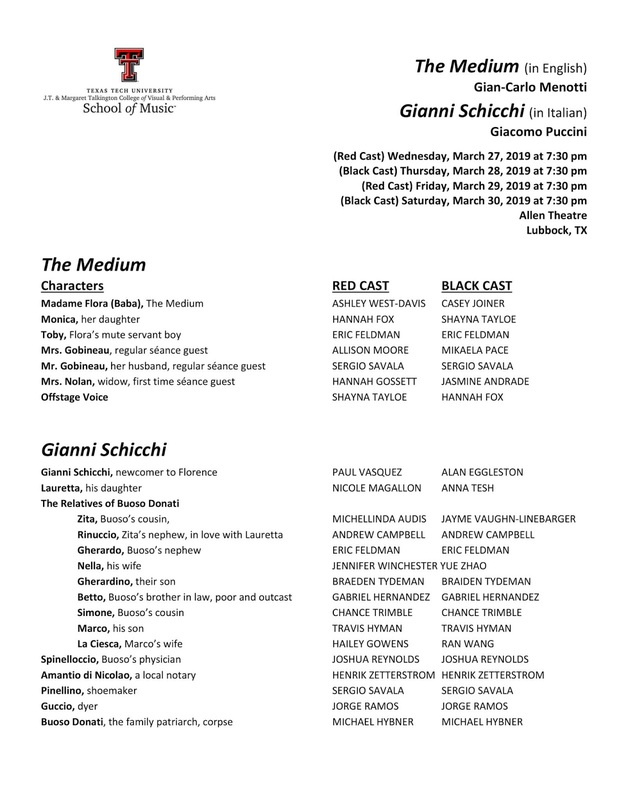 On the second half of the bill is Gianni Schicchi, a comic opera with music by Giacomo Puccini written to an Italian libretto by Giovacchino Forzano. It premiered in 1918 at the Metropolitan Opera. 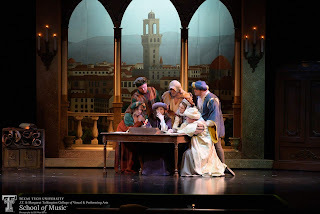 Puccini’s opera revolves around the antics of Gianni, a local farmer and part-time actor who has been summoned by the family of a recently deceased miser to rewrite the will to their benefit. Schicchi, however, may have other plans in store. The biggest highlight of this production is the vocal chemistry between Andrew Campbell and Nicole Magallon. His powerful tenor punctures the air, and Magallon’s rendition of “O Mio Babbino Caro” will leave you wanting more. Both of these productions have a second cast that I did not have the opportunity to see during my rehearsal visit. 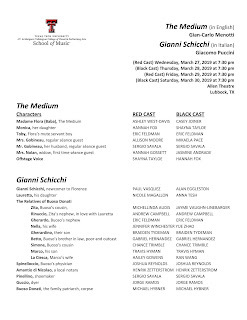 Performances will take place in Allen Theater at the Texas Tech campus March 27-30 7:30 p.m. Tickets available at eventbrite.com and are $15 for adults and $10 for seniors. Free for Texas Tech students with ID.